Boca Unidos’ terrible start to the season continues, as they were trounced at home to Agropecuario last weekend 4-1, a scoreline that flattered the hosts. On Tuesday it was announced that Boca parted ways with their third manager of the season, Victor Genes after just six games. Genes leaves the club after one win, one draw and four defeats in his six games in charge, the longest run of any of their coach’s this season. Boca Unidos announced via the club’s official twitter feed on Wednesday that they have appointed Carlos Mayor to lead them into the new year. The ex-Almagro gaffer will start “preseason” on 3rd January ready to embark on the second half of a crucial season in the history of Boca Unidos. 2017 has been an abysmal year for Boca Unidos. In 19 games Boca have taken three wins, five draws and eleven defeats. 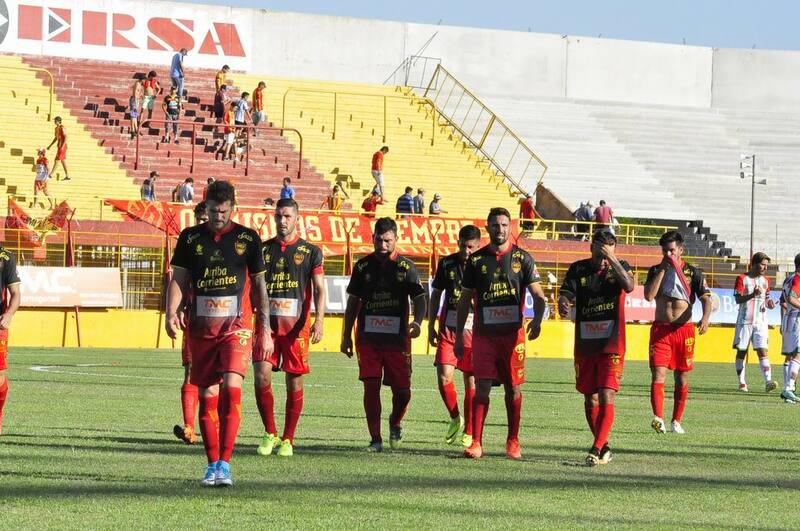 The Aurirojo took until their tenth fixture of the season to pick up a win, a two-nil home victory over Instituto, but have lost seven games in the league leaving them rooted to the relegation zone in the Promedios. Relegation looms large not only due to Boca’s terrible to start this season, but the amount of teams around them in the Promedios with just one seasons worth of points to be taken into account. The Primera B Nacional relegates based on a three season average, and three of the sides around them will have only this season’s results to be judged on, including two sides relegated from the Primera Division last season. It is difficult to imagine that Sarmiento and Quilmes will be unable to pick up points after the summer break and if they do that will spell disaster for Boca as well as sides like All Boys, Estudiantes and Independiente Rivadavia. Mayor will have his work cut out to save Boca. Their most glaring problem is their defence, and Mayor must fix this if he has any hopes of saving his new side from relegation. Boca have conceded a division high 20 goals in 12 matches, keeping just one clean sheet all season. Last weekend’s defeat highlighted their abysmal defending, and whilst the finishing from Agropecuario was exquisite, the opportunities and space they were afforded was anything but. A perfect example of this defensive fragility was their round nine defeat to Almagro. Boca held the lead with seven minutes to go, but two minutes later they had thrown it away. The first goal was built on three mistakes. Too much time and space allowed for a cross, attacking players allowed too much space in the box and finally poor goalkeeping. The second goal was a well struck header by a player whose run was not picked up by any Boca defender or midfielder. Boca like to attack and try to score, but once they concede their heads drop and the floodgates can open like they did this weekend. Mayor needs to instill greater defensive discipline, and improve his player’s stamina as it is often late in games when Boca have dropped a number of points this season. Boca have 13 games to save themselves from relegation to the third tier and Federal A football. Mayor will make his managerial bow away to fellow relegation strugglers Flandria, in a tie he knows his side must win.